The conversation continues as citizens from throughout Eau Claire County discuss Issues & Challenges of poverty and income insecurity in our communities. 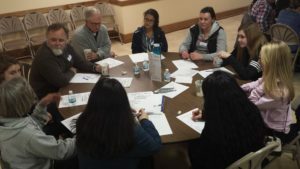 Participants at Session #2 continue to discuss poverty Issues & Challenges, and begin to learn about Clear Vision Core Concepts and One-to-One Relational Meetings. 303 Poverty Issues were grouped into 17 Themes for table discussions at Session #2. Session #2 started with small group conversations. Participants chose a Theme that interested them. They reviewed the issues within that theme, added new ideas, or clarified issues already on the list. They repeated this process two more times, so everyone was able to review and discuss 3 different Themes. These table discussions generated even more Issues & Challenges within all of the Themes. Each participant was asked to choose 3 Themes they were most interested in. They did not rank their choices, so the Top 3 Themes is just an early indication of areas that might eventually become the focus for Action Teams. The Clear Vision Process incorporates Core Concepts of Self-interest, Public Relationships, and Strategic Relationships. Relationships are built on common or complimentary self-interests and respect for diverse contributions. 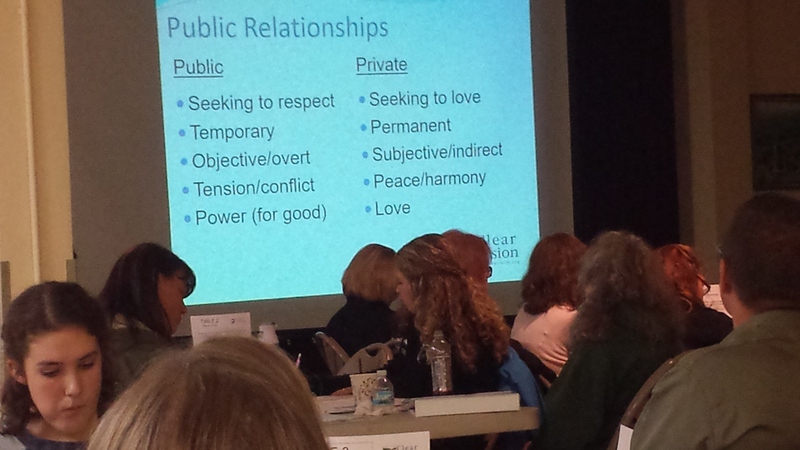 Participants learned about these relationships. They are also explained in the Clear Vision Tool Kit. The One-to-One Relational Meeting is one of the Clear Vision Core Practices. It will be used throughout the Poverty Summit and as teams carry out their Action Plan. The purpose of the One-to-One Meeting is to discover motivation, interest, and passion that can help build public relationships. The One-to-One is between just two people: the interviewer and interviewee. It is planned and strategic, not just casual conversation. The interviewer asks open-ended questions that focus on “why” and “what,” and listens carefully for interests, passions, and connections to home, work, family, school. Participants practiced the One-to-One Meeting by acting as both Interviewer and Interviewee. 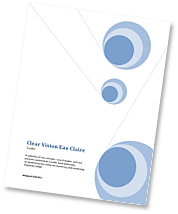 Learn more about the One-to-One in the Clear Vision Tool Kit. Session #2 ended with each participant sharing a one-word evaluation of “what went well for you this evening?” with others around their table.